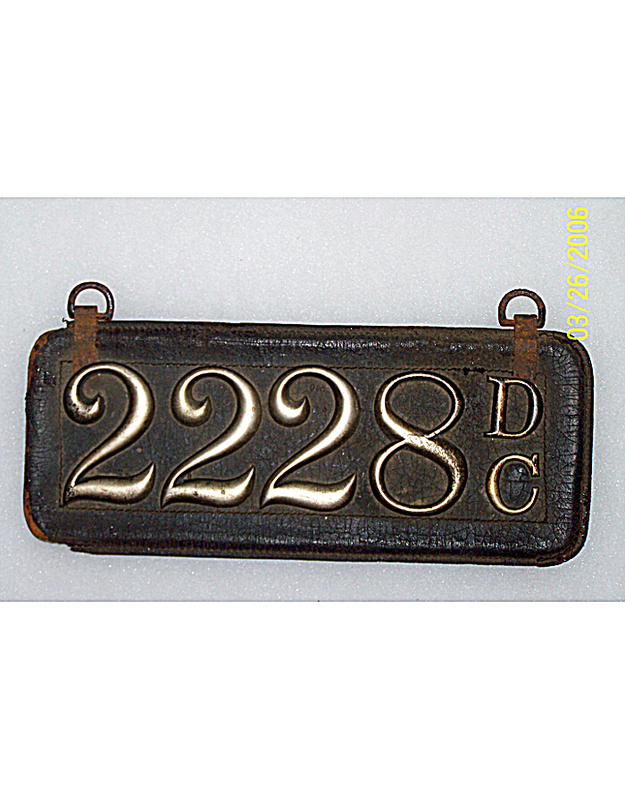 Washington, D.C. began licensing autos in 1903/04. 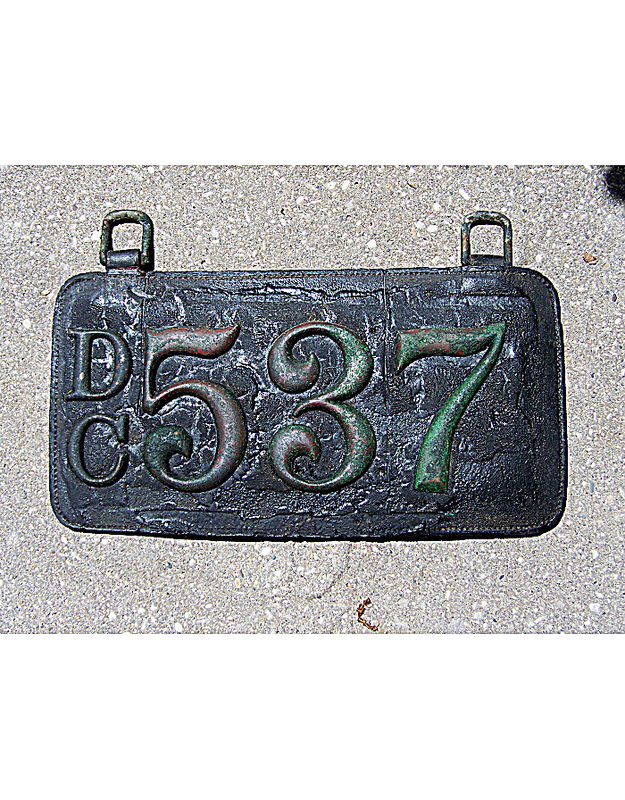 Owners registered their machines with the Automobile Board and received both a driver’s license and a registration number for the vehicle. 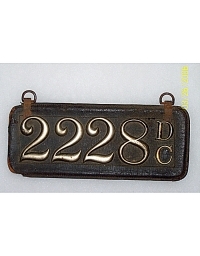 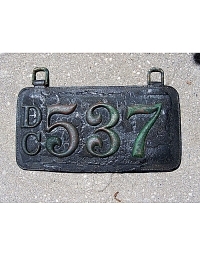 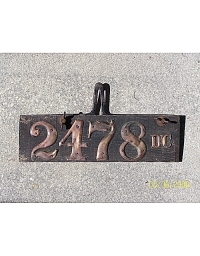 Owners were required to make a license plate to include their registration numbers and also the initial letters “DC”. 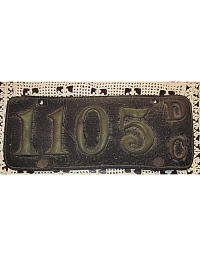 This system was continued through mid-year 1907 when official regulation license plates were issued by the city and owner-made license plates were discontinued. 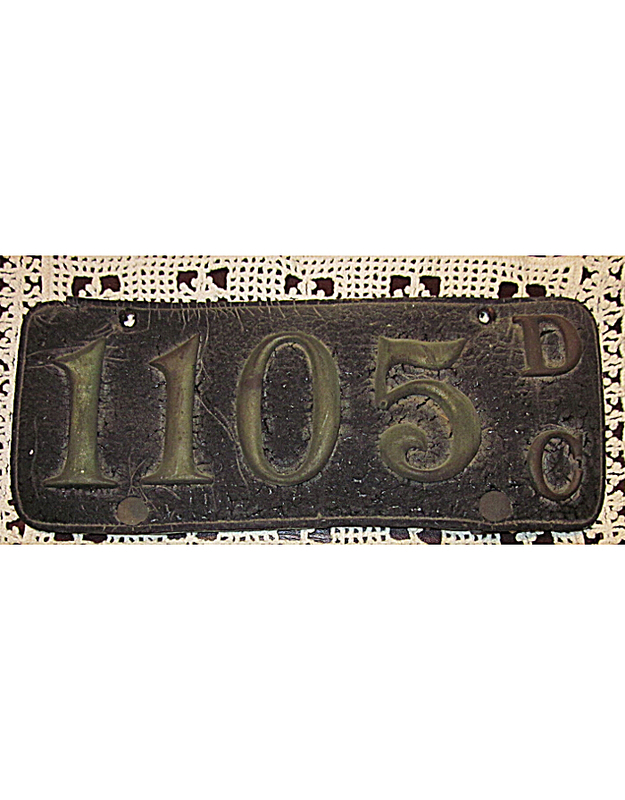 Approximately 2,300 automobiles were licensed from 1903 to 1907 – many to Maryland residents who were also required to register in D.C. if one wished to motor into the capital.